I am a full service/design build interior designer. I design for living and enjoyment, not just for looking and or being fearful of using your rooms. I have been in business for over 30 years and have been published in over 25 National Magazines showing my interior design work. Without a Pro Interior Designer, your projects do not get the best possible interior design nor do they get well written contracts for services. Clients expect and should also receive budgeting spreadsheets, space planning with constant interaction and updates from their designer. I am this type of professional designer. I like to buy wholesale from my vendors with a percentage of that wholesale price point being passed on to my clients. My clients get my best interior design and pricing I can offer. Save money and hire an interior design professional. We offer interior design, new construction and remodel selections for homes in San Antonio, Austin, the Texas Hill Country and outside of Texas. We specialize in bathroom and kitchen remodels. We also offer our "Design in a Day" Consultation Service for customers wanting design guidance to be able to do their own home projects as well as professional real estate staging services are offered by our Accredited Staging Professional (ASP). Ornamentations Design offers the services needed for completing new residential construction, remodeling, and redecorating. We provide creative design solutions and exceptional customer service while transforming clients' ideas into elegant living spaces. Houzz award winner, Ethan Allen award winner, Eva Longoria charity event designer. Chelsea prides herself on finding creative solutions for her clients and forming lasting relationships with them. She calls her personal style “neutral and comfortable with pops of color,” but she enjoys working on every style from traditional to modern. Chelsea is a proud cancer survivor and dog rescuer. She enjoys donating her free time to several philanthropic organizations and speaking on behalf of the American Cancer Society. Younique Designs caters to clients with discriminating tastes, and strives to meet the highest standards of excellence with exquisite craftsmanship and one of a kind interior design solutions. Our nationally recognized designs have been featured in prestigious Interior Design magazines. We specialize in Kitchen and Bathroom design including tile, granite, marble, cabinets, plumbing, lighting and hardware selections, as well as custom window treatments, space planning, and custom furnishings. Our talented team of professionals will take your project from concept to completion by first identifying the functional needs and then incorporating your own unique sense of style to create a dynamic space that welcomes you home. Younique Designs is a nationally recognized award winning Interior Design Firm offering full service Interior Design. Whether you are re-modeling your Kitchen or Bath, building from the ground up, or just refreshing your decor, Younique Designs can work within your budget to help you bring YOUR vision to life. Contact us today to discuss your project! For over 40 years, design has been the profession and passion of Betsy Homan. Today recognized as one of San Antonio's foremost design firms, producing the very highest quality experience with the highest quality results. Whether as part of a design build team, remodel or purely design decoration, this award winning firm creates beautiful, functional interiors. Melissa's attention to detail and sense of style is translated into creating spaces that reflect the desires and needs of her clients. Designing for both residential and commercial accounts she is comfortable and knowledgeable in contemporary, transitional or traditional designs. With a BFA degree in Art from Texas Tech University, she has held various design positions and has instructed Art in public schools. Her extensive travels to Africa and to Italy have influenced the styles of her designs. An allied member in the American Society of Interior Designer, Melissa holds a certificate of Interior Design from St. Mary's University. A full service interior design firm Finishing Touches offers a full service design center and award winning design team eager to provide for your decorating needs. We have what it takes to make your house a home. Whether working in the studio or at your home, we strive to make your project enjoyable. A step-by-step walk through will ensure all areas of interest will be addressed. Finishing Touches provides a “hands on” approach and will see to it that each project is polished, professional and is completed as seamlessly as possible. We help our clients transform their homes into functional, memorable and livable spaces that foster joy in a colorful, spirited and creative way. Registered Interior Designer specializing in commercial and residential interiors. Larcade Larcade is a full service small interior design and color firm, consisting of John and Margaret Larcade. Margaret is known for her warm contemporary interiors. along with her color work. John is an architect. Together they are known for their commitment to solving design problems by very careful listening to their clients needs and budgets. Their services include architecture, interior design, historic renovation, color consulting and remodeling. The practice is very eclectic as each client varies in his/her needs. In 2019 they have made the decision to concentrate on color work and work with clients whose share the same commitment to contemporary design. 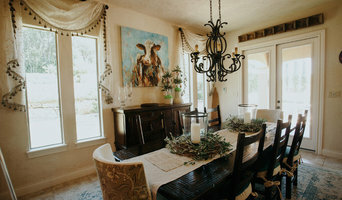 Austin Based Award Winning Interior Designer 7X Best of Houzz Winner! A good home design professional will hone your style down to its very essence and be able to choose a functional layout that feels natural to you. Interior design companies can be involved as much or as little as the client desires. Many clients who hire an interior decorator in San Antonio, TX — particularly those who are remodeling — have a good sense of how the room should look and what products they should use. Often clients will insist that interior decorators use the products already present in the house. Other times a designer will need to start from scratch — especially if this is a newly purchased or just-built home. An interior design company will need to figure out exactly what the client needs, which includes organizing rooms, picking flooring and wall colors, and finding furniture to complement it all. Sometimes that means he or she will have to recruit help from other San Antonio, TX home professionals to help create the perfect look for your renovation. Here are some related professionals and vendors to complement the work of interior designers & decorators: Architects & Building Designers, General Contractors, Home Builders, Design-Build Firms, Photographers. Do your research before meeting with an interior designer or home decorator in San Antonio, TX. Ask yourself what you want your space to become and what it will be used for. Figure out the extent of what you need help with, what your must-haves are and what your budget is. Interior design services can add up fast, so be up front with a potential design firm or individual from the beginning. Also, pick an interior decorator that fits your style. Browse through the portfolios of different San Antonio interior design firms and decide if you would live in those houses. Just because you like something doesn’t mean you could live in it. There's a big difference! Find an interior designer or home decorator in San Antonio, TX on Houzz. 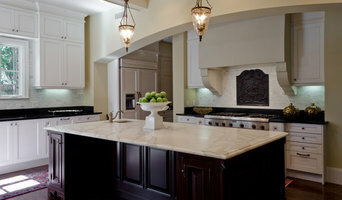 Narrow your search in the Professionals section to find San Antonio interior designers near you. You can also look through San Antonio, TX photos to find a room you like, then contact the design firm who designed it.